In this chapter, research background is presented to locate the current study in the broad context of language testing and assessment. The present study centers on the role of test methods in language testing and assessment. Major limitations of the existing relevant studies and practices from a product-focused perspective are identified to justify the necessity of conducting the current study from a process-focused perspective. 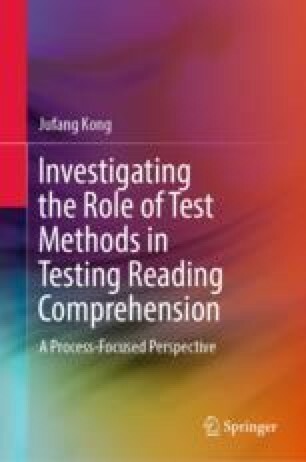 The rationale of pinning on reading comprehension test response format to materialize test method investigation is put forward, followed by the presentation of the structure of this book and the summary of this chapter.